Intra-species morphological variation may occur in sessile organisms, such as corals, living in different habitats. Conversely, the octocoral Briareum asbestinum exhibits both encrusting and upright branching morphologies at the same shallow water habitat, enabling studying physiological differences uncoupled from habitat variation due to depth or reef location. We investigated the mutualism between endosymbiotic dinoflagellate algae, Breviolum spp. (previously clade B Symbiodinium), and these B. asbestinum morphologies at ambient and elevated temperatures. Based on msh1 gene sequences, the host morphologies were genetically similar although they differed in protein content, polyp expansion behavior, and associated Breviolum (B19 for encrusting and B21 for branching B. asbestinum). Due to colony orientation, polyps in encrusting B. asbestinum experienced irradiance levels nearly three times higher than polyps in the branching morph, which probably contributed to the lower photochemical and light absorption efficiencies of the Breviolum in encrusting fragments. The light-limited portion of photosynthesis–irradiance curves and the intracellular chlorophyll concentrations, however, indicated that Breviolum in both morphologies were acclimated to similar internal irradiances. Encrusting B. asbestinum exhibited higher Breviolum density, areal chlorophyll a, and greater photosynthetic rates cm−2 compared to branching B. asbestinum. Notably, elevated temperature did not cause bleaching in either morphology, as Breviolum and chlorophyll densities did not differ significantly from ambient temperature, although the two morphologies adjusted some of the measured parameters, indicating coping with the stressor. 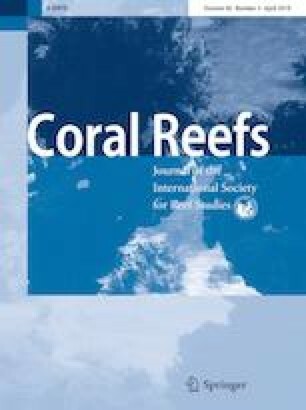 In the face of continued ocean warming, the high thermal tolerance of octocorals may reinforce the shift of Caribbean reefs from scleractinian coral to octocoral dominance. The online version of this article ( https://doi.org/10.1007/s00338-019-01782-z) contains supplementary material, which is available to authorized users. 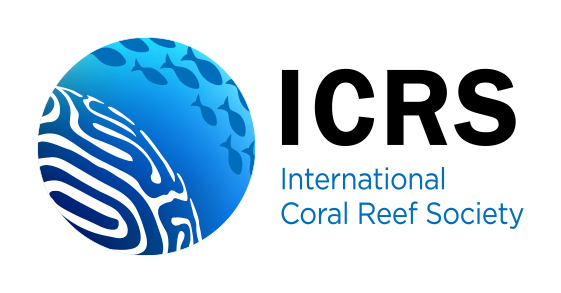 We thank the staff, scientists, particularly Dr. R. Iglesias-Prieto, and students at the Unidad Académica de Sistemas Arrecifales, Instituto de Ciencias del Mar y Limnología, Universidad Nacional Autónoma de México for their assistance and M. McCauley and K.P. Shirur for help in the field. Funding for this work was provided by the Explorer’s Club to BDR and by the National Science Foundation under Grant No. IOS 0747205 to TLG. Any opinions, findings, and conclusions or recommendations expressed in this material are those of the authors and do not necessarily reflect the views of the National Science Foundation.